Lets start off this blog right: I love Dermalogica facial skincare. I've tried quite a few of their products and I've had 0 issues. Some do work better than others, but their products never broke me out or upset my skin in any way. But then again, that's just my skin. What works for me might not work for you. But let me tell you this: It's worth a try. Now that we got that out of the way, lets get this review going. When I first heard the name of this range, I immediately thought that this might not be for me. 'Calming' indicates that it's meant for irritated, inflamed or red skin; which isn't what I'm currently struggling with. However, I do get some redness around my nose during winter time (the island girl in me will never get used to the Dutch weather). 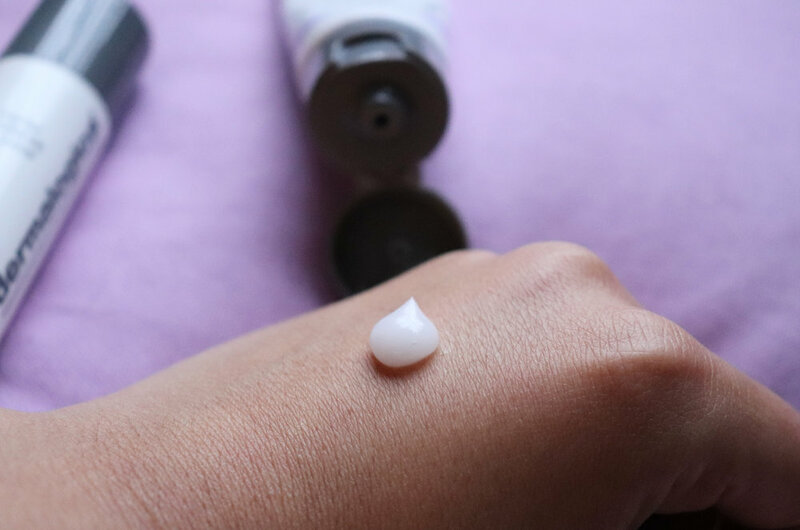 Dermalogica already had a Calming range, but I tested 2 of their new babies that were recently added to the Calming family: the UltraCalming Water Gel and the UltraCalming Barrier Defense Booster. A bit of a thick consistency when you first apply it, but it literally feels like water when you rub it in. My skin loves it. Everything about this product screams serum. It's oily and really feeds your skin. I can literally feel my skin relaxing when I apply a few drops of this stuff. The Gel surprised me. Big time. I thought that the little redness around my nose was just something I had to deal with during the winter, but (not kidding here) the redness disappeared right after applying this stuff! I was really blown away. Because the gel isn't hydrating enough for my super dry winter skin, I do apply the Barrier Defense Booster first. This serum doesn't necessarily instantly get rid of my redness like the Gel does, but it's really moisturising. Combining the two gives me a glowy, moisturised skin with 0 redness. This combo will definitely be my winter go-to; and I highly recommend trying this out if you struggle with redness too. Let me know if you do, I'd love to hear your thoughts!